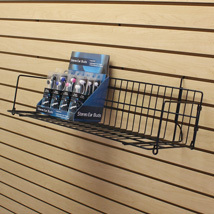 Slatwall shelving for larger products! 10 in. deep shelves for slatwall or pegboard are perfect for larger items or displaying multiple copies of Books, DVDs, games and software. Holds up to 14 DVDs. 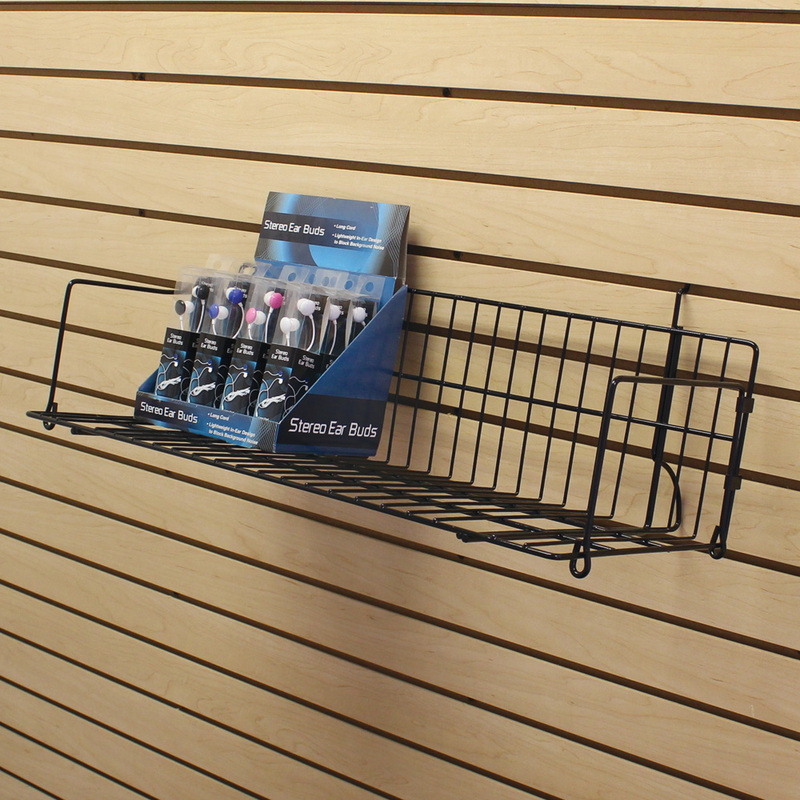 This slatwall shelving has a slight angle to keep products in place. For further products, we ask you to take a moment to browse our full variety of slatwall shelving at Specialty Store Services today.